At Naturahealth we feel that understanding the treatment and how it will potentially help you acheive your health goals is important. kin rejuvenation for all ages! 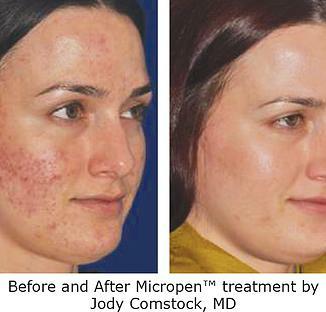 MicroPen® is an electric skin needling device made especially for this purpose. The device has 12 very fine needles which gently perforate the skins surface which stimulates skin cells to proliferate. This results in the formation of new tissue and increases blood supply to the area. What conditions can be treated or improved with the MicroPen®? The treatment area is first cleaned and numbing cream is applied to lessen discomfort. Collagen-stimulating products like Hyaluronic Acid, Vitamin-C serum, PRP, or skin lightener for pigmentation during the procedure is applied to achieve optimal results. A small handheld pen like device with a sterile, disposable tip affixed with 12 tiny needles is then used to perforate the skin. During the procedure the treatment area is infused with the topical collagen-stimulation product which increases its absorption. After the treatment, topical soothing Vitamin-C serum or Hyaluronic acid are applied to hydrate, heal and protect the skin. For the first 24-48 hours after the treatment most patient experience some redness and mild swelling, similar to a sunburn. Within a week there is a noticeable improvement in the look and feel of your skin, with continued improvement in the weeks to come. 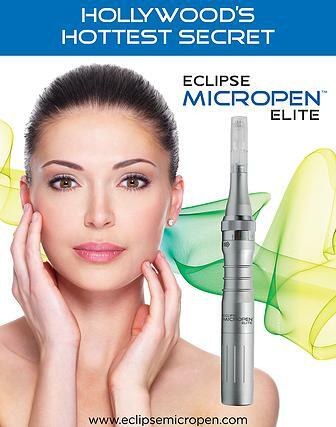 Is the MicroPen® right for you? Micro-needling is a minimally invasive and safe alternative to aggressive ablative treatments (harsh peels and lasers). There is virtually no downtime. Treatments are generally repeated every 4-6 weeks until you achieve the desired results (minimum of 3 treatments is recommended). The number of treatments required is dependent upon each individuals skin type, healing ability, and particular condition being treated. To ensure optimal results glycolic acid, retinol, salicylic acid, acne medications, and sun exposure should be avoided for 2-3 days post treatment. A zinc based sunblock should be used. Used since the early 1990s BOTOX®, a purified protein of the botulinum toxin, gently reduces the contraction of muscles. Doctors noticed that it also helped to improve the appearance of wrinkles. Over the past 20 years it has been used for aesthetic purposes to reduce fine lines and wrinkles, as well as to treatment migraines and muscle spasticity. The aesthetic use of the botulinum toxin helps to reduce the appearance of fine lines and prevent new ones from forming, by preventing the breakdown of collagen from facial muscle movement. It lasts about 3-5 months. Since the development of Hylauronic Acid (HA) facial fillers doctor’s have been using them to create a more permanent option for reducing wrinkles as well as being able to increase the volume of skin. Depending on the brand of filler results can last for up to 12 months.